In-depth company intelligence for professionals and academics.Data, analysis, insight and benchmarking tools compiled and developed, for you, by experts in competitive intelligence. Find out more today. 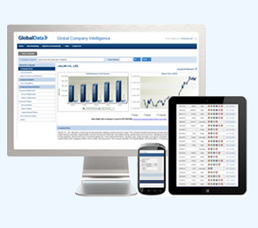 Global Company Intelligence offers detailed company reports across a broad range of markets and industries. Our high-level analysis, combined with in-depth financials, SWOT profiles and innovative benchmarking tools, offers unparalleled insight into the business strategies of your competitors and partners on a truly worldwide scale, giving you a competitive advantage in your key markets. Why outsource your company intelligence? © GlobalData 2019. John Carpenter House, 7 Carmelite Street, London EC4 O85.